A grainy melting scrub with a “magic” texture: a gel turns into oil, then into milk when emulsified. Formulated with White Tea extract and asymmetrical grains, it works for all skin types but not recommended for sensitive skin. Gel texture that turns into oil, then into milk when emulsified. Formulated with White Tea extract. Suited for all skin types except sensitive. Use morning or evening 2-3 times a week to gently exfoliate and renew the skin. Apply a small quantity all over the face and work with your fingertips. Remove with warm water and your preferred washcloth or sponge. 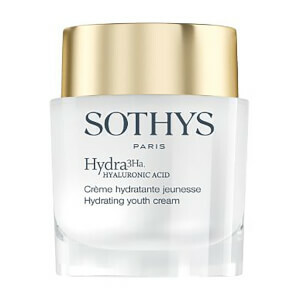 Follow with your preferred Sothys Skin Lotion. Caprylic/capric triglyceride, Ethylhexyl stearate, Dicaprylyl carbonate, Glycerin, Aqua (Water), PEG-7 glyceryl cocoate, PEG-20 methyl glucose sesquistearate, Polyethylene, Parfum (Fragrance), Phenoxyethanol, Propylene glycol dicaprylate/dicaprate, Camellia sinensis leaf extract.